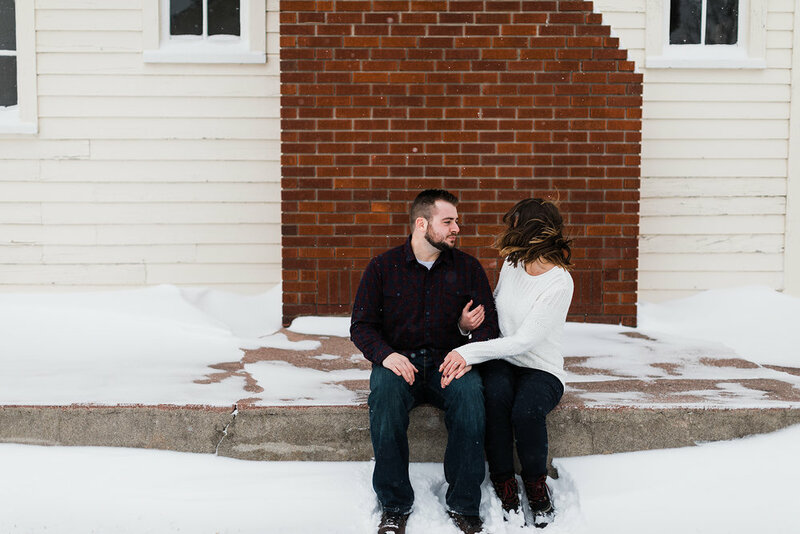 So, a few days before this polar vortex hit pretty much all of the midwest of the USA strong, I met with Molly and Tayler for their engagement session with regular Michigan winter temperatures…you know, barely breaking 10 degrees. 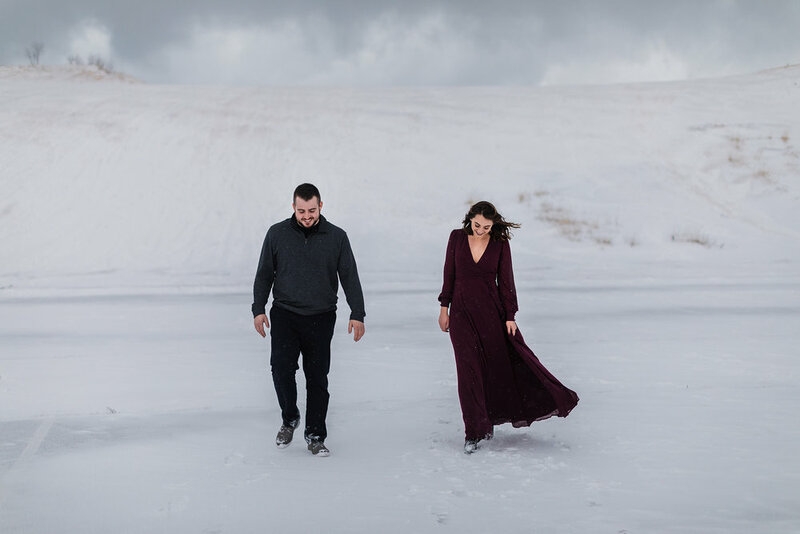 It actually WAS pretty freezing but these two…they had nothing but smiles and were a dream to work with! I figured I’m posting all these previews to our FB page, why not also make a quick blog post with them? And by quick, I mean this is a tiny amount of images I’m sharing compared to all the goodness we captured! 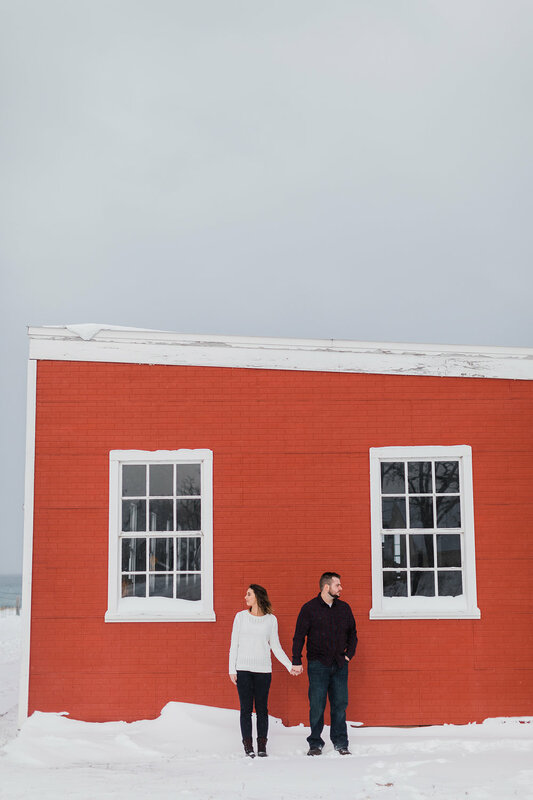 We started out in downtown Traverse City for a couple reasons. A: because it’s pretty and another good mixup location than straight up wilderness like the Dunes are and B: because I knew we’d need warm up breaks! So from downtown we traveled to the Dunes area and finished our session. And went from brilliant sunshine to snow to wind. 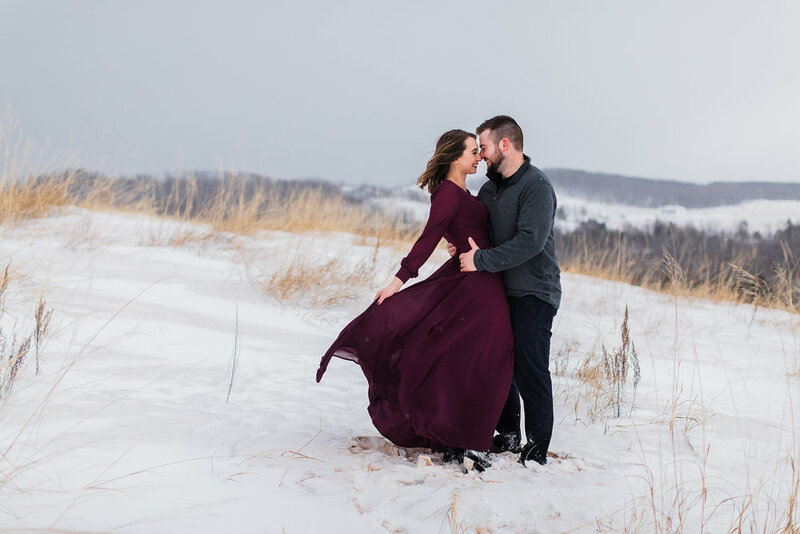 Here’s some of their engagement story! Oh, and Elsa, eat your heart out.